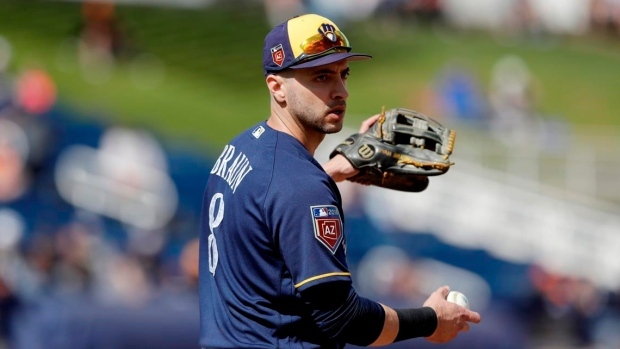 The Milwaukee Brewers will be without outfielder Ryan Braun as they face the Toronto Blue Jays Monday in Montreal because he forgot his passport and was unable to enter Canada according to Tom Hardricourt of the Milwaukee Journal Sentinel. "Sounds like he thought he had his passport with him but turns out he didn't. So, couldn't come to Canada," tweeted Hardricourt. Despite the blunder, Braun seems like he's ready for the season. In 22 at-bats, Braun hit .318 with an OPS of .855. The Brewers will play the Blue Jays Monday and Tuesday night before making the trip back to Milwaukee to take on the St. Louis Cardinals.